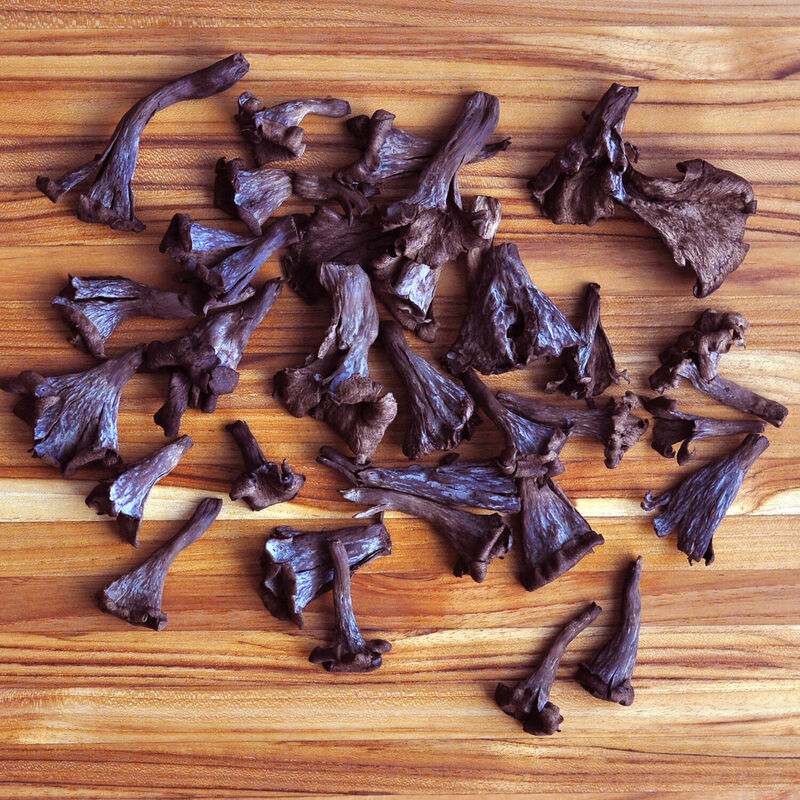 Fresh Black Trumpet mushrooms, wild foraged in the USA, available seasonally. With a sweet, almost smoky flavor and a delightful texture, the black trumpet is quite versatile and works well with winter vegetables like butternut squash, tubers of all kinds, and Brussels sprouts. It’s also a favorite with eggs, meats, poultry, game birds and fish.